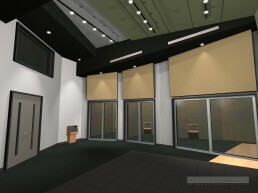 Simplicity | Pilchner Schoustal International Inc. This facility design was developed to fit into the context of an existing space. 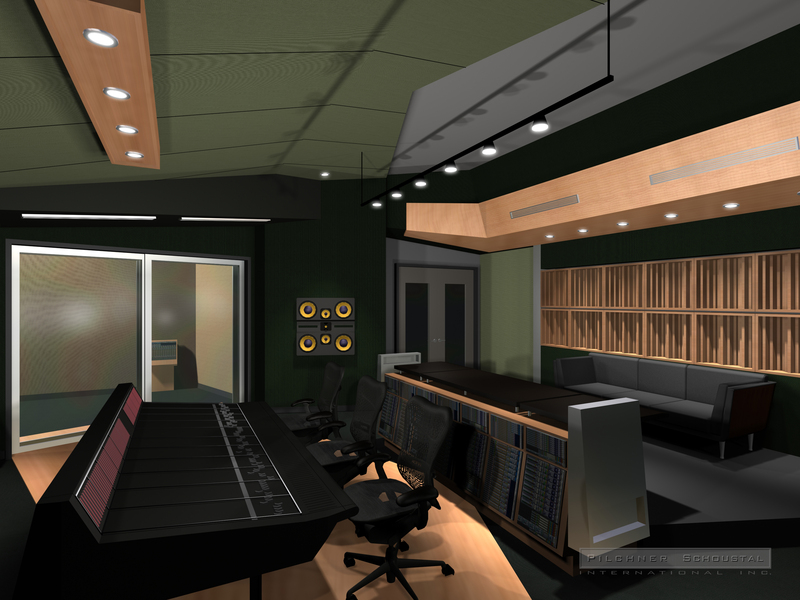 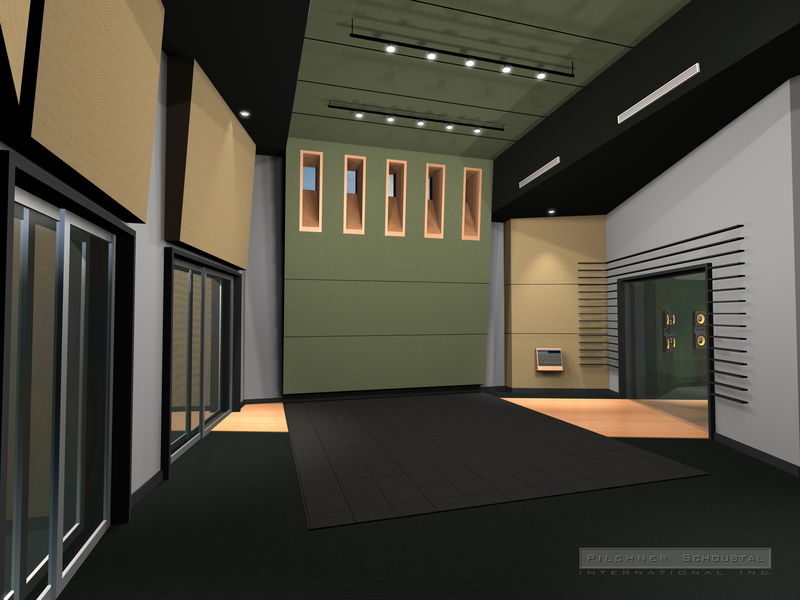 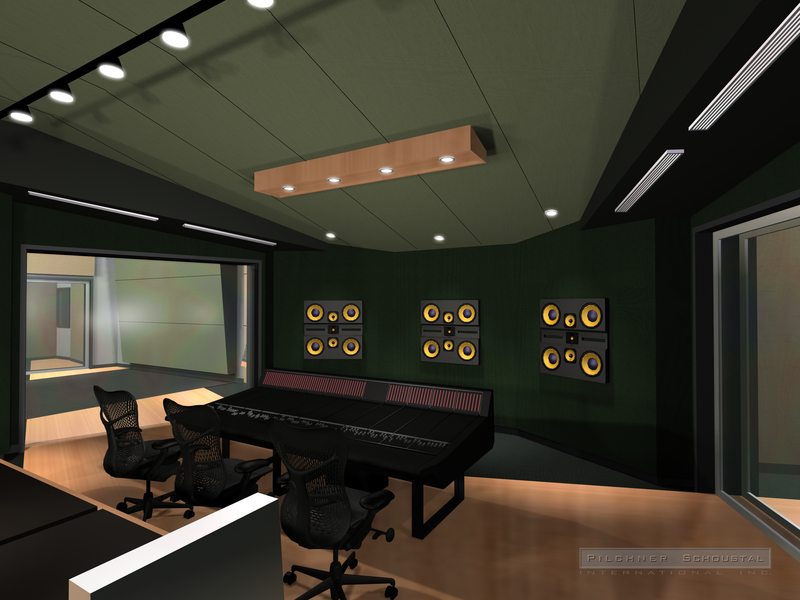 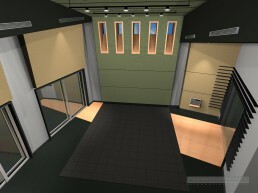 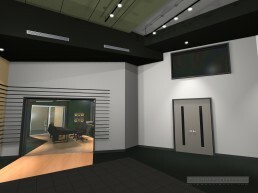 The design features a 5.1 soffit mounted control room and a large studio proper. 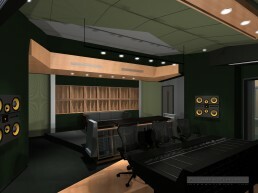 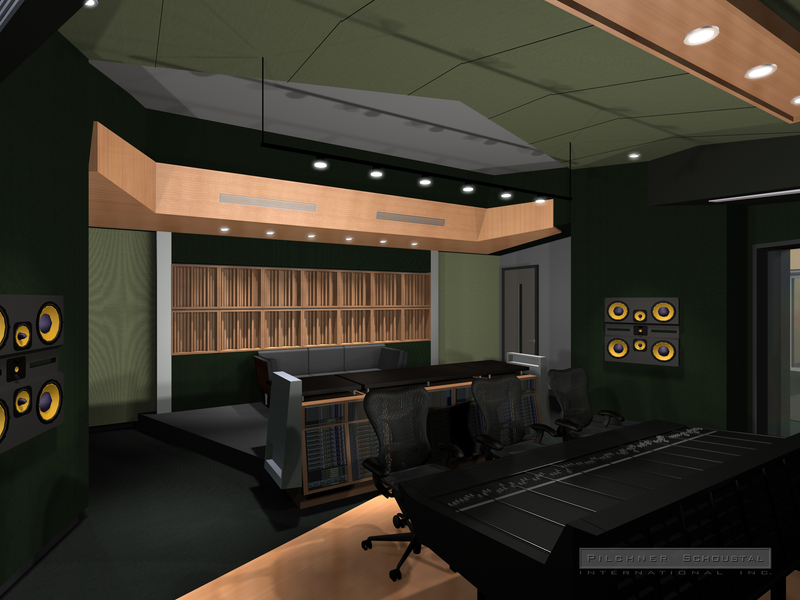 The studio proper incorporates two dedicated isolation booths. Clerestory windows along the upper edge of the studio wall bring in natural light to the space.